An intensive moisturizing complex that aids in the repair of dry, cracked skin. Deeply moisturizes and speeds healing with Allantoin and Urea. Helps calm irritation with Cucumber Extract, Chamomile and Aloe. Improves elasticity with Panthenol. Relieves the effects of severe dryness on heels and other parts of the body. Daily use provides noticeable improvement in a short time. Concentrated formula can be used sparingly (cost-effective). Dr. G's Spa Soak uses patented antimicrobial technology to sanitize and protect skin from infection-causing germs while softening at the same time. The soothing aromatherapy helps your client relax during their treatment. This formula is concentrated to provide the maximum number of uses per bottle (up to 125 pedicures per bottle). Dr. G's 2-in-1 Callus and Cuticle Remover has germ-killing power to help prevent infections while dissolving calluses and cuticles. 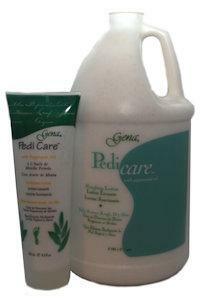 Our patented formula exfoliates and moisturizes with Urea while healing dry, rough skin. With repeated use, your clients' skin will stay softer between pedicure treatments. Safe to use on those living with diabetes. Ralyn NightCare Exfoliating Foot Scrub contains natural pumice suspended in an aqua cool refreshing gel. 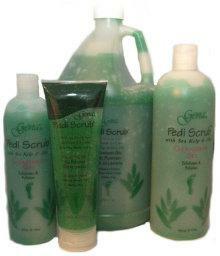 Scrubs away corns, calluses and rough flaky skin to leave feet feeling soft and smooth. Refreshing scent delights the senses for an invigorating skin treatment. 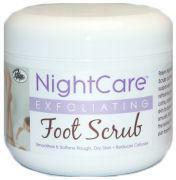 Ralyn NightCare Revitalizing Foot Lotion absorbs into skin to prevent moisture loss and to soften rough, dry feet. Its silky, non-greasy formula combines the invigorating scent of fresh mangos with beneficial, vitamin E, urea and aloe vera for a pampering sensation. Ralyn NightCare Intensive Healing Foot Cream moisturizes skin to help heal and prevent dry, cracked areas. 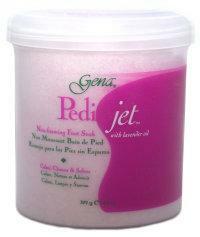 Its velvety, long-lasting formula nourishes feet with beneficial vitamins A, D & E and urea. Great for softening calluses too. Non-toxic. Shock-absorbent cushioned pads keep your feet from sliding forward for a more comfortable fit. Ideal for mid and high heel shoes. Smooth molded edges will not snag hose. These quality-made sueded leather sling stays offer comfort for the back of your heel. Designed to keep the strap in the back of the shoe from slipping, rubbing or sliding for a secure comfortable fit. These non-skid pads protect against slipping when walking on wet, dry or carpeted surfaces. For men's or women's shoes. Will not mark floors. Sure Steps will help extend the life of soles. Also available ProLinc Cosmetics Be Natural Cuticle Eliminator! Formally known as Hydra Heel Therapy. 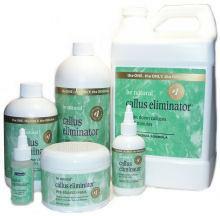 The perfect companion to Callus Eliminator and the perfect solution for heels that dry and crack! Penetrates deeply to deliver advanced moisturizing and healing agents to the lower layers of the skin. Aloe vera, green tea and bladderwrack provide anti-inflammatory, anti-aging and anti-oxidant benefits, while urea, vitamins A, C, E and botanical oils nourish and hydrate. Continued daily use maintains skin's healthy moisture balance, helping to prevent drying, cracking and calluses. 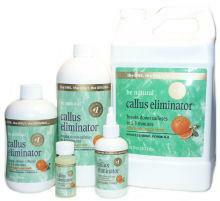 A unique fast-acting callus remover formula, works in minutes on thick callus. Thick and viscous for no-drip application. Cooling mint aroma. Odor control agent to minimize odors from use. Clear formula, non-staining. Also available Sani-Care De-Cuticle cuticle remover! Sani-Tablet is specially formulated to be used with portable and whirlpool foot baths to eliminate cross contaminations caused by microorganisms such as bacteria, fungi, and viruses. Sani-Tablet has passed AOAC spa disinfection and sanitation tests. Will not harm skin and is EPA registered and approved. One tablet treats 6-8 gallons of water in a standard size spa tub. Dissolves one tablet with warm water before your client soaks his or her feet in the foot bath. Sani Soft Skin Softener is specially formulated to be used with Sani-Spa Disinfectant Tablets to provide extra benefits for pedicure applications. It enhances disinfectation function, provides detergency to clean the system, reduces hard water deposit to extend machine life, and softens skin for pleasant pedicure. One tablet treats 6-8 gallons of water in a standard size spa tub. Utilizing Dead Sea and Epsom salts, muscle-relieving essential oils of clove, birch, juniper, and rosemary comfort even the most abused feet. Specially designed for use in hydrotheraphy and "jetted" foot baths, this non foaming, residues-free foot soak will sanitize, cleanse and soften the skin allowing for fast, yet gentle exfoliation of calluses and cuticles. Infused with a light aromatheraphy blend of lavender, patchouli and ylang ylang oils, Pedi Jet helps soothe and relax tired, aching feet. 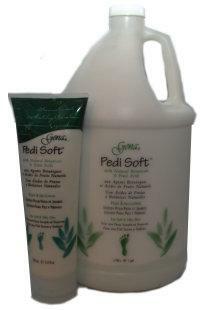 Foaming, anti-fungal foot bath cleans, refreshes and softens the skin. 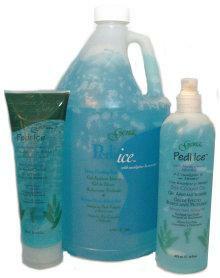 Concentrated foot bath with Tea Tree Oil designed to cleanse, soften and condition feet prior to any foot care service. Antiseptic anti-fungal foot spray with Eucalyptus, Menthol & Tea Tree Oil. A highly effective foot spray to help prevent bacterial contamination. Helps prevent foot odor, as it cools and refreshes hot, tired feet. A refreshing lotion with Peppermint Oil that gently smooth away rough, dry surface skin. This non-abrasive lotion leaves skin soft, silky, cool, and refreshed. Deep cleansing gel with Sea Kelp & Aloe. Gentle scrubbing granules soften and reduce rough calluses and stimulate circulation while safely removing rough, dry skin. Sea Kelp and Aloe Vera moisturize and hydrate skin, leaving it feeling soft and smooth. This easy-to-rinse gel is great as a face and body scrub too! Botanically enriched lotion with natural botanicals and fruit acids that moisturizes and softens feet and legs. 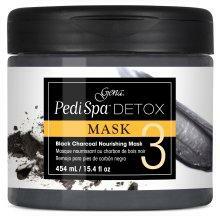 Re-hydrates and leaves the feet satin smooth. Also great for moisturizing hands and body. Icy cold refreshment for hot, tired feet and legs. Menthol and Eucalyptus Oil helps relieve aching muscles. Soothing Aloe cools and conditions skin. Goes on creamy and rinses off quickly. 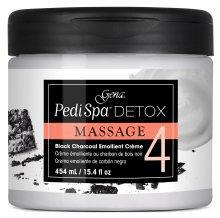 The perfect pampering treatment, moisturizes and softens skin while energizing muscles. Leaves feet feeling soft, cool, and revitalized. 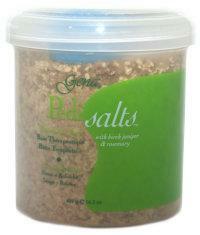 An exfoliating scrub that moisturizes and softens skin with an invigorating warming sensation. 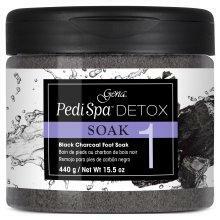 Infused with black charcoal, this non-foaming, residue free foot soak deeply cleanses and preps feet for the pedicure while calming and relieving the skin. 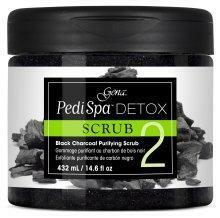 This invigorating black charcoal scrub diminishes calluses and exfoliates dry skin, revealing polished and smooth feet. This luxurious mask enriched with black charcoal coats the skin with a luxurious formula, drawing out deep dwelling impurities and replenishing the skin with nourishing moisturizers. Blended with black charcoal powder, this rich foot creme conditions dry, cracked skin and soothes for an ideal massage, leaving behind soft and nourished feet.